So why the Jamis decals? Wish I could get some of the RSP ones we used at the time. Nice! - (even with the Jamis decals) . The forks (Magura/Rond Quake) are a treat to see as well, with the HS-33 "Firmtech" mounts. All Magura/Rond from that era seem to be very underrated, for some reason. Personally I think they're great forks. Thanks for posting an unusual and interesting bike. its a shame they got bad press abck in the day, some had a bolted crown, like my air forks and had no problems, but the bonded crowns on the cheaper models could work loose, although the warranty was first class. Could Gil, decal-meister, sort out some RSP ones for you? Worth looking him up, I'd say. So we are looking at the bike of the month selection, I like this one but how old is it?? I'd probably go for an older bike but this is a dreamy velo indeed. The frame is a made-to-measure Raleigh Special Products Titanium frame and was constucted in 1997. Frame drawing and geometry by Justin Stevenson. Raleigh SPD, Dawes, Saracen and now at Whyte. Hers a pic of mine it was £1400 and had it 15 years but it broke last year. 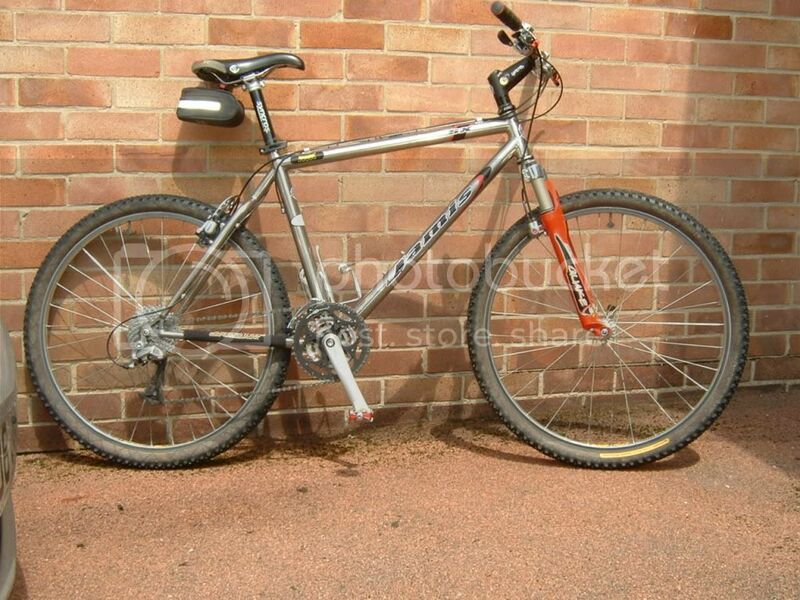 Bad welding and warranty is 15 years so raleigh say its out of date. File comment: cracked Forks. Lug is just interference fit. Scary. frame and forks where made by X-lite on mine cos I talked to them when my first frame one cracked in same place as the one below. File comment: Great control on these forks. Won a few down hills on smoothr decents like Bosley. Great for trials in old days too. XC,trials and down hill.... on same bike for total points. File comment: You can see the crack goes right round. theres an alloy tube about 4&quot; long at top of seat tube. where you clamp the seat post, So frame stays together(for a while). Shame though loved it to bits. And the forks. alloy was IMI 6% alluminium.